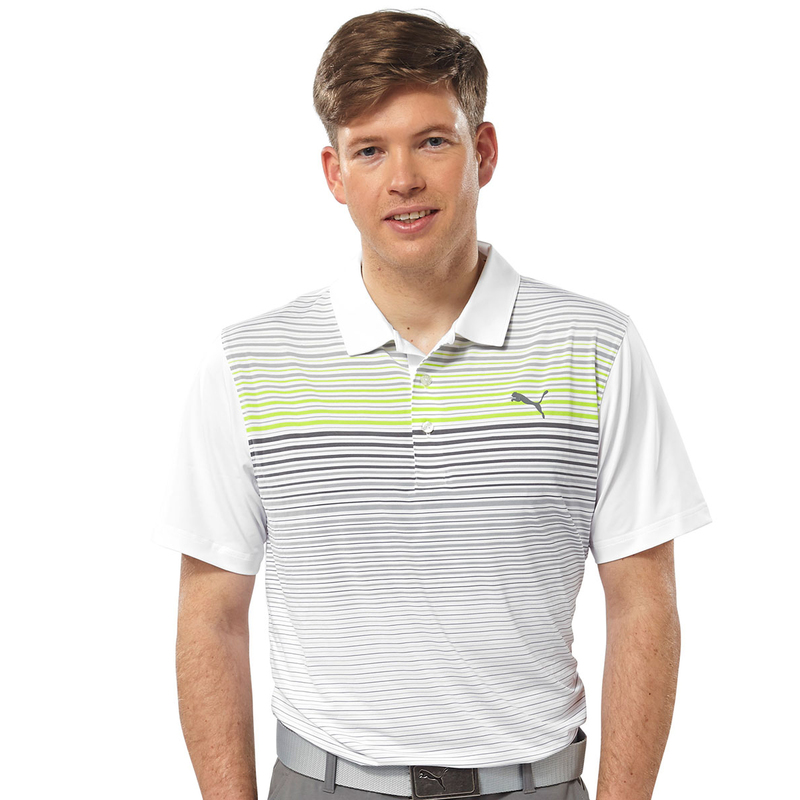 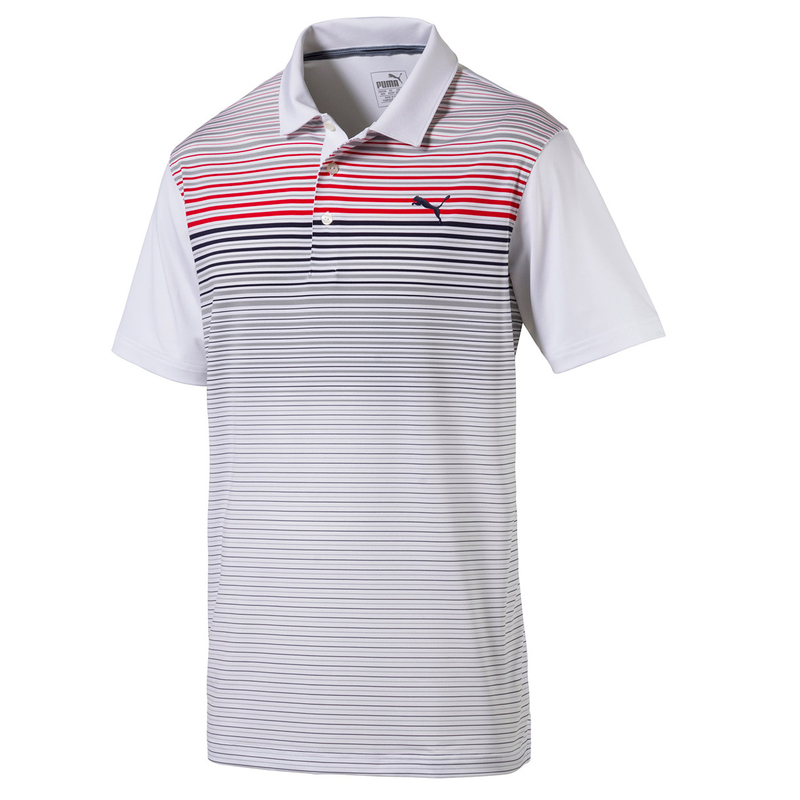 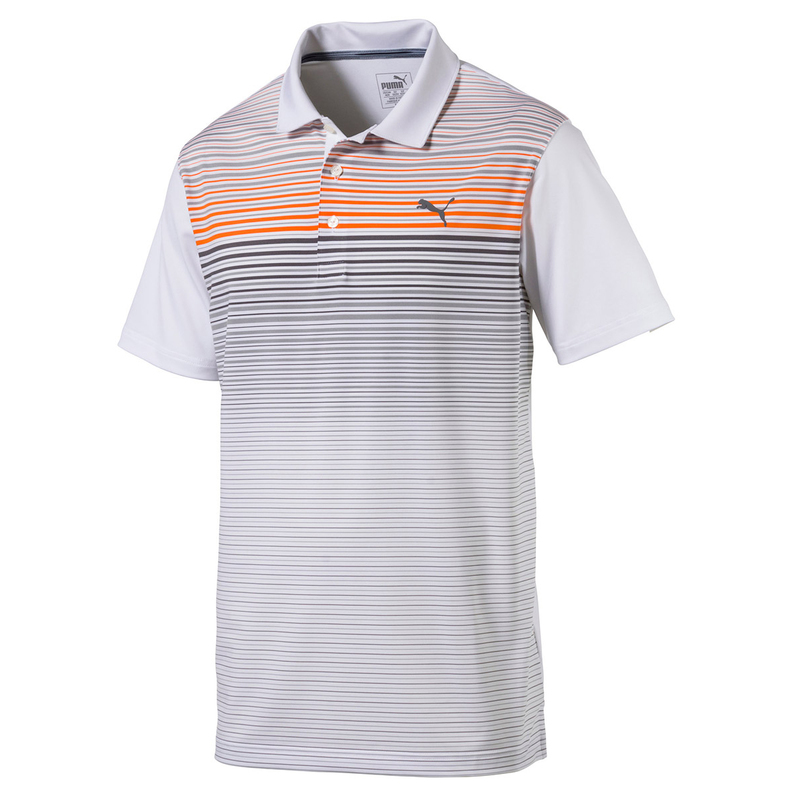 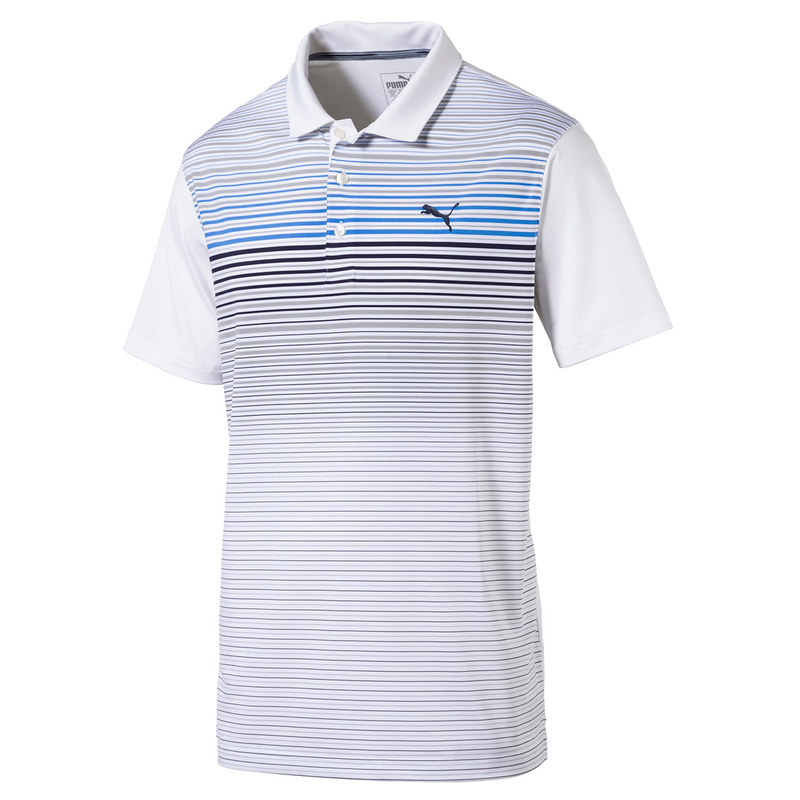 Give your golf game better mobility and comfort, with this premium quality front sublimation print polo shirt from PUMA Golf. 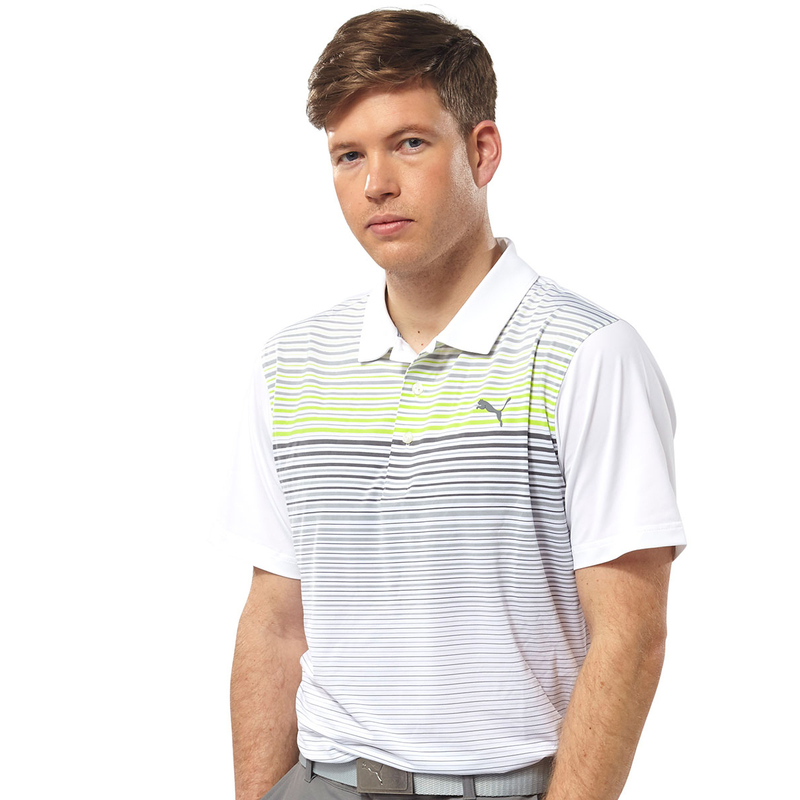 Designed with a stretch fabric to give you more mobility through any athletic movements associated with the golf swing. 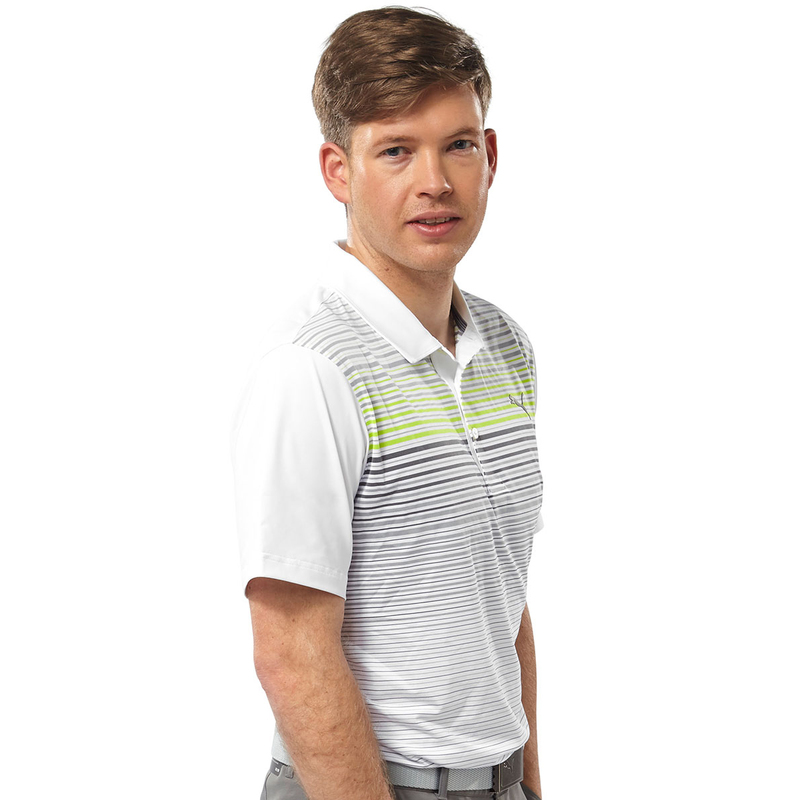 For extra performance the garment has dryCELL technology built-in, this removes any access moisture away from the skin surface to for rapid moisture evaporation. 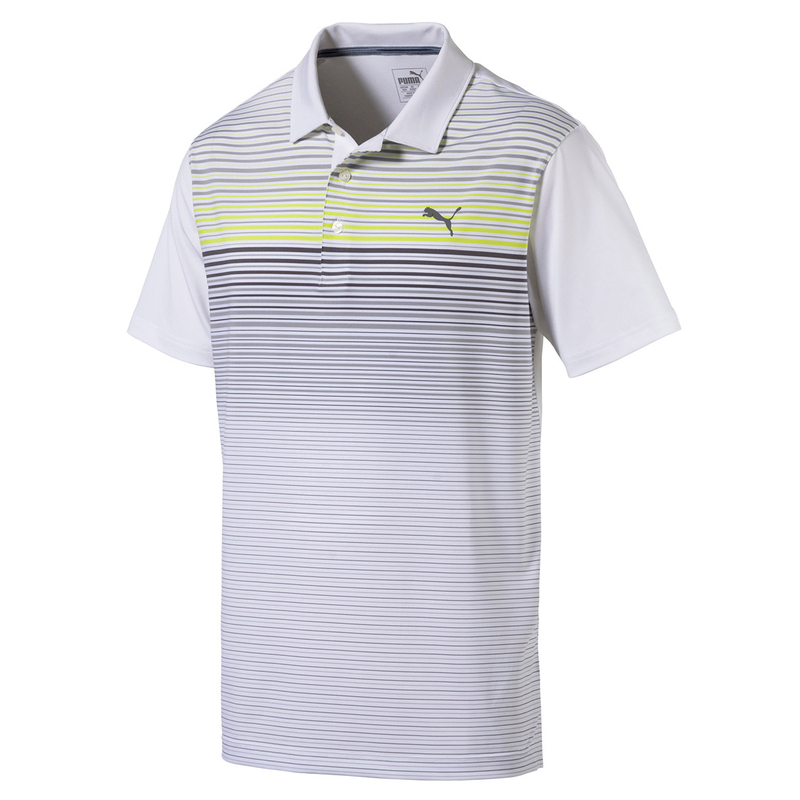 Other features include a 3-button placket and fold over collar, and has a sun protection rating of 40+, which is perfect for playing the outdoor sport of golf.